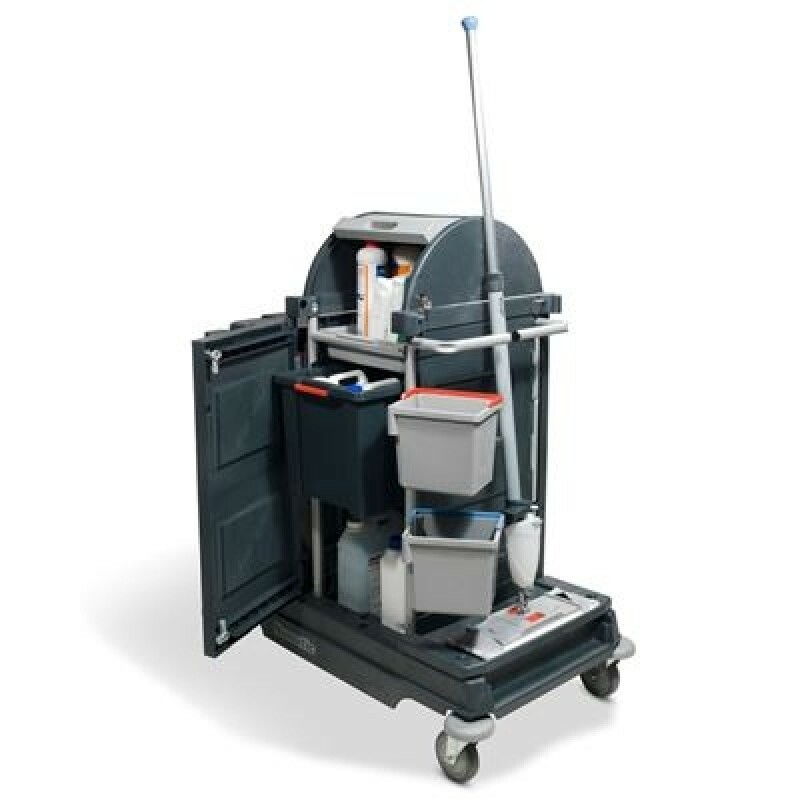 The Procare 100 provides an easily manoeuvrable janitorial system with ample secure storage. This makes is perfect for use in public places such as hospitals and retail environments. Not only looking after public places and spaces but also looking after the public. The ProCare models are designed to provide all the basic features and facilities to support a dedicated programme of maintenance in larger open areas such as airports, bus stations, railway stations, exhibition halls, etc., where continuous use by the public generates the need for a well-disciplined maintenance procedure in order to LOOK CLEAN at all times. 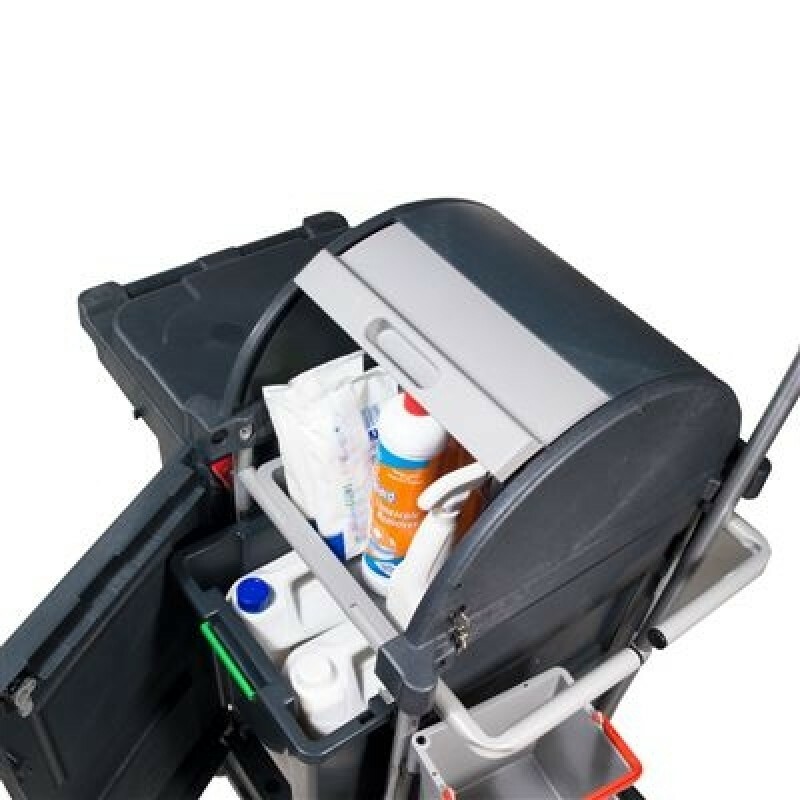 The Procare 100 provides an easily manoeuvrable janitorial system with ample secure storage. 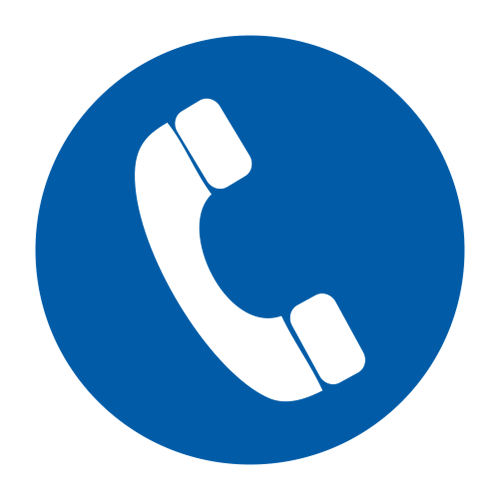 This makes is perfect for use in public places such as hospitals and retail environments. 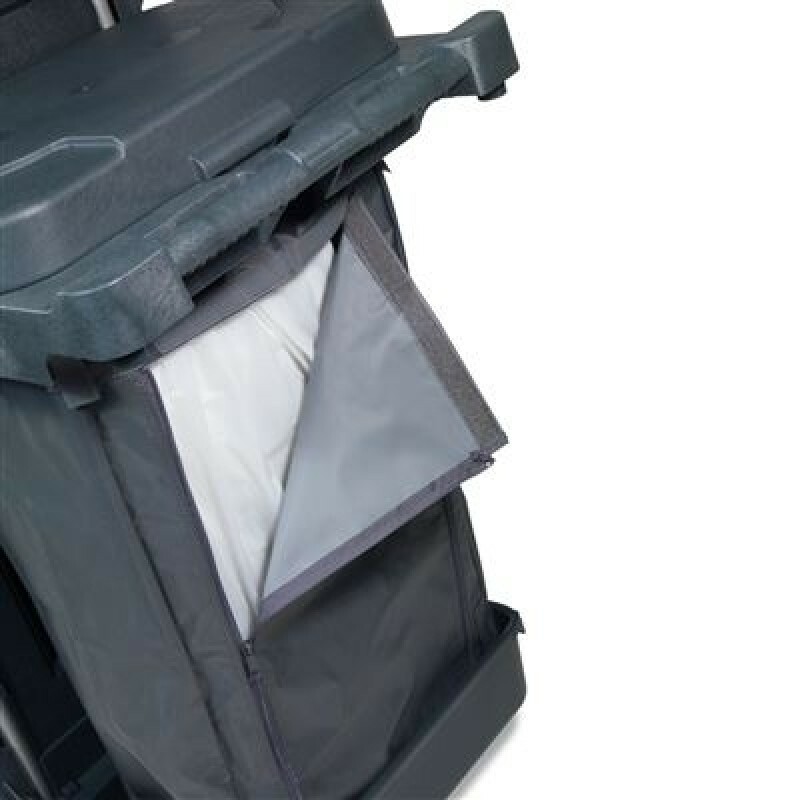 • 120 Litre Waste Capacity - Fully lidded providing excellent capacity for normal waste collection and disposal. Folds down for compact storage. 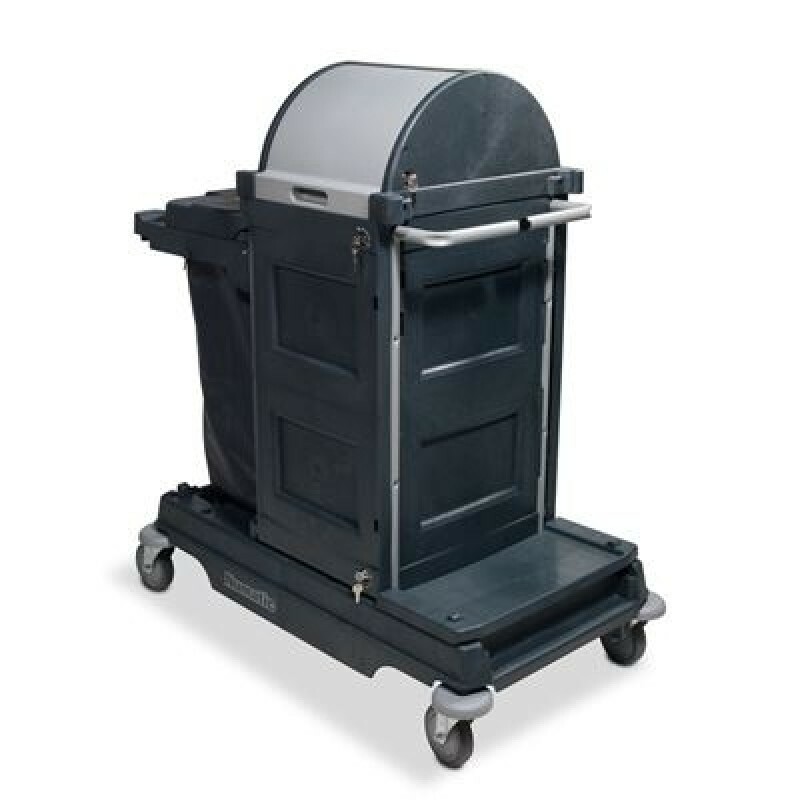 • All-Terrain Castors Option - Optional 200mm heavy duty super quiet castors equally suitable for inside or outside use. • Choice of Mop Kits - Compatible with 5 additional kits, providing the right mop for the right cleaning task. • Compact Design - Easy to store and manoeuvre when space is at a premium. 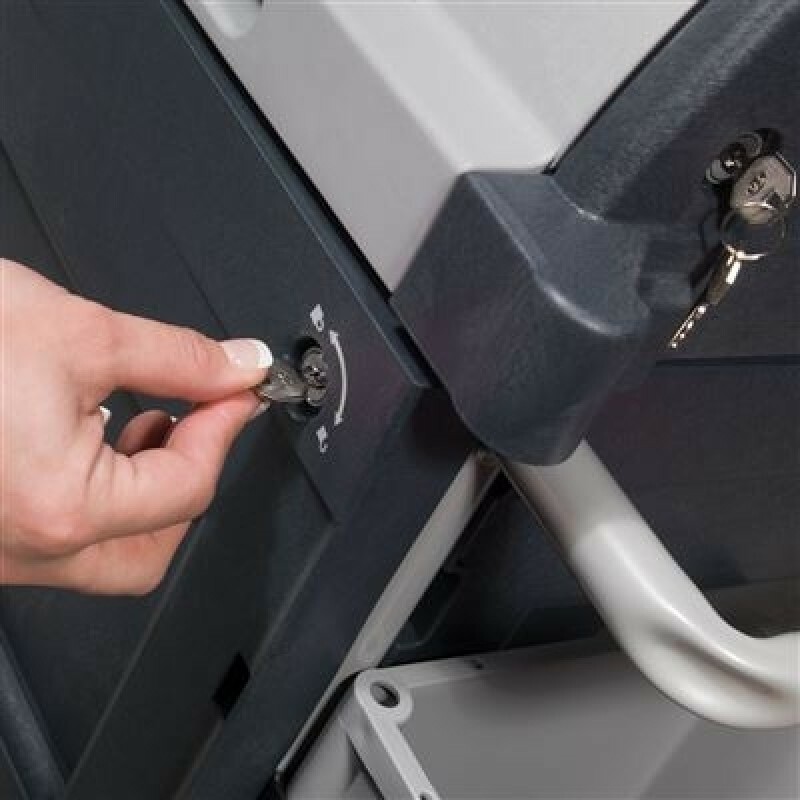 • Lockable Door - Provides added safety and security when you want to keep the contents of the trolley out of sight and out of reach. • Deep Storage Drawer - Large capacity deep storage drawer provides plenty of storage for your cleaning supplies. • Structofoam Construction - The heavy duty Structofoam base is strong and resistant to scratches and dents.